I've eaten the Rigatoni al Filo di Fumo at Topo Gigio probably once a month, on average, since I was eight years old. It was my favorite pasta then, and my tastes didn't change much as I matured (though the Farfalle ai Due Salmone and the black linguine with seafood tomato sauce are strong contenders). But I don't live in Chicago anymore, so I can't get it. But is it possible to make something similar at home? Yes. Yes it is. 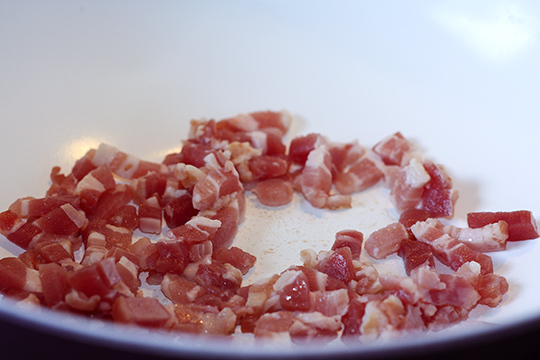 When the pancetta is crisp, remove it from the pan and set it aside. (Setting it on paper towels is a good idea.) 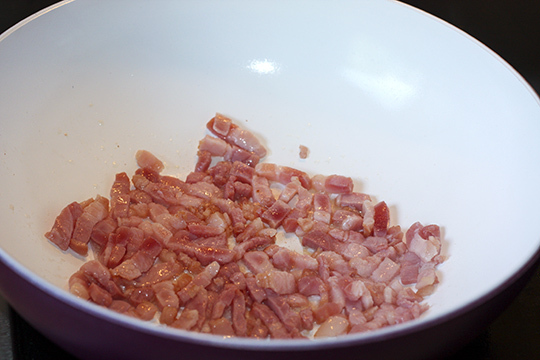 Get rid of all but about a tablespoon of the fat that melted off the pancetta. 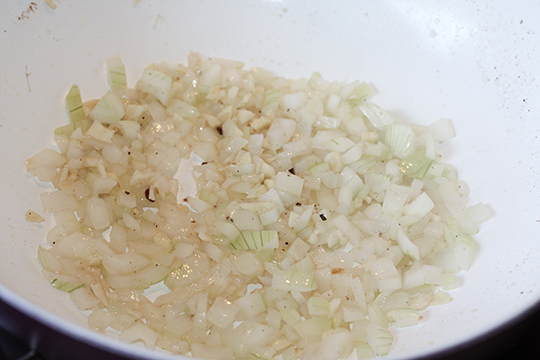 Add the garlic and onions to the pancetta oil and cook until glossy and translucent. 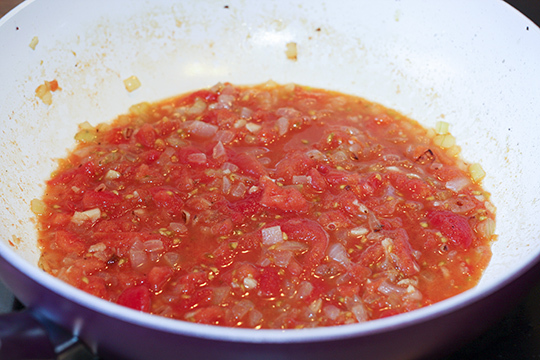 Once the onions are glossy and translucent, add the tomatoes and simmer over medium until the sauce thickens. Add the red chili flakes if you're using them. Meanwhile, start cooking the pasta. 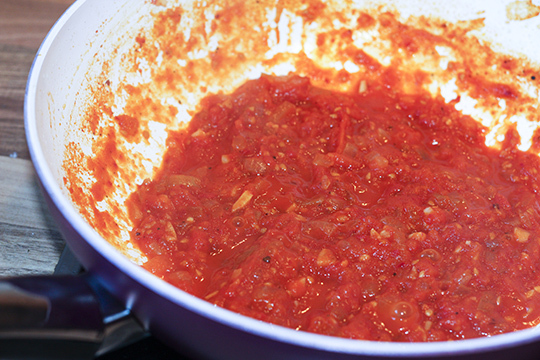 When the sauce is thickened, taste to see if it needs more salt or pepper. 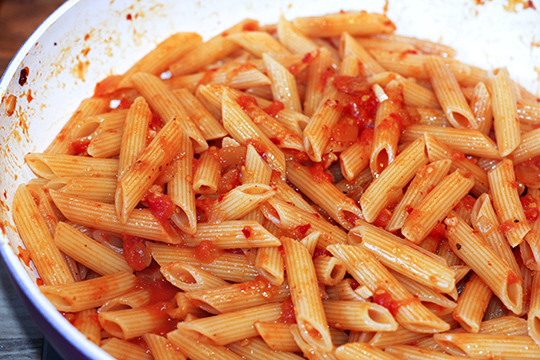 When the pasta is cooked al dente, add the pasta to the sauce with about 1/4 cup of the pasta water and toss to combine. Then put the crisp pancetta back in with the pasta and mix. Add the chopped mozzarella pieces and mix gently. 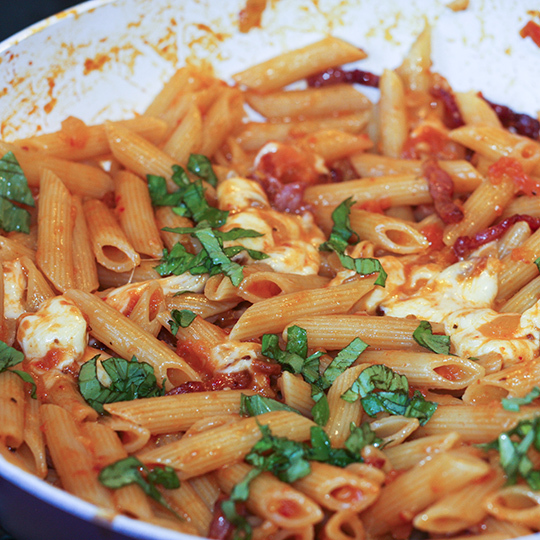 Top with the chopped basil leaves and some Parmesan to serve.